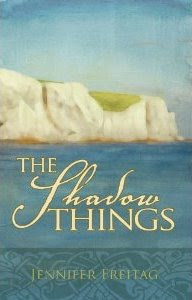 I am pleased to announce to the inquiring public that Miss Black on her book review blog Little Notes has read and reviewed my book The Shadow Things and put up the review for you to read. It would be a delight to me, and a real honour to her, if you might stop on by and take a look. Miss Black does a thorough combing-over of her books; I think you will enjoy the experience. There are several threads and themes running through this novel, but my favorite, and the one that is the source of the book’s title, is the idea that all we see in God’s creation - the beauty and wonder and magnificence - is but a shadow of it’s former self, a faint dream of things to come. This message in particular really spoke to me. For those fellow authors who also want books reviewed and the word spread out, a line by email to Miss Black would probably not go amiss (I'm thinking of you, Liz!). May you live long, and may your pens never run dry! Thanks, Liz! I'll employ my least scrawlsome handwriting, sign up a book for you, and drop it in the mail as soon as I can!